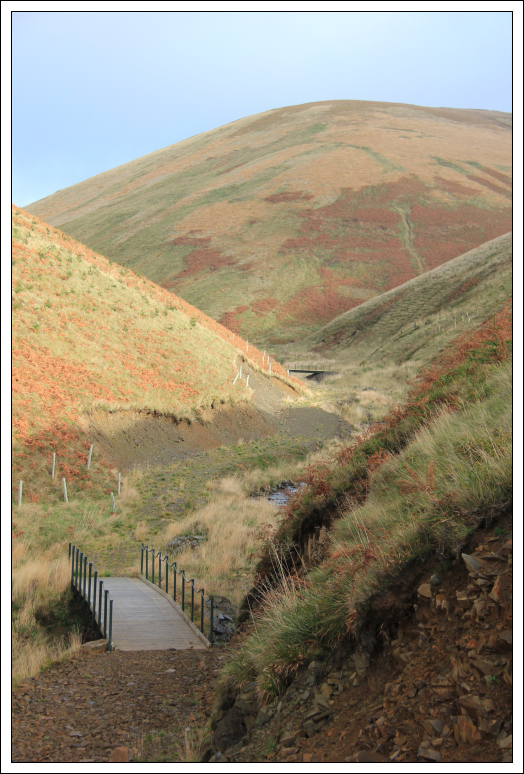 I undertook a short walk today en-route to the Lake District. 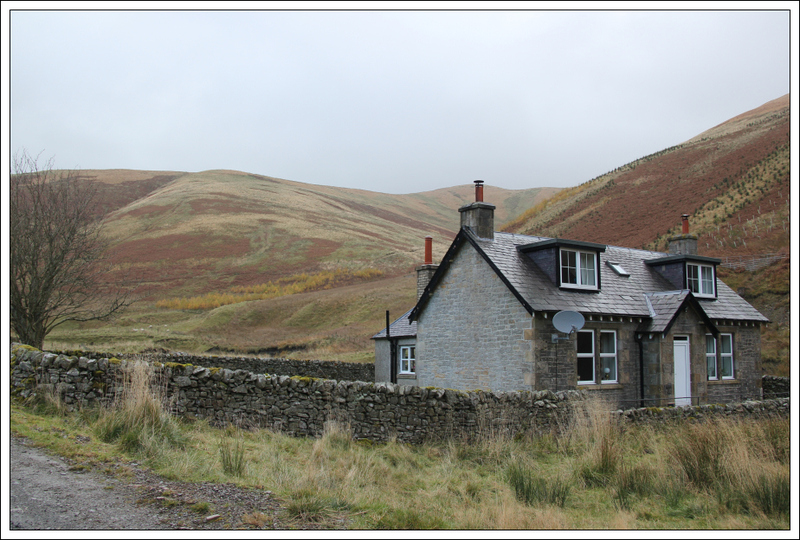 After driving 5+ hours from home I arrived and parked at Billhope for an ascent of Cauldcleuch Head. On researching this hill, I read a report on the internet advising that there wasn’t a gate across the start of the track and that it should be possible to drive a couple of kilometres along the track. This must be old information as there is definitely now a gate across the track. 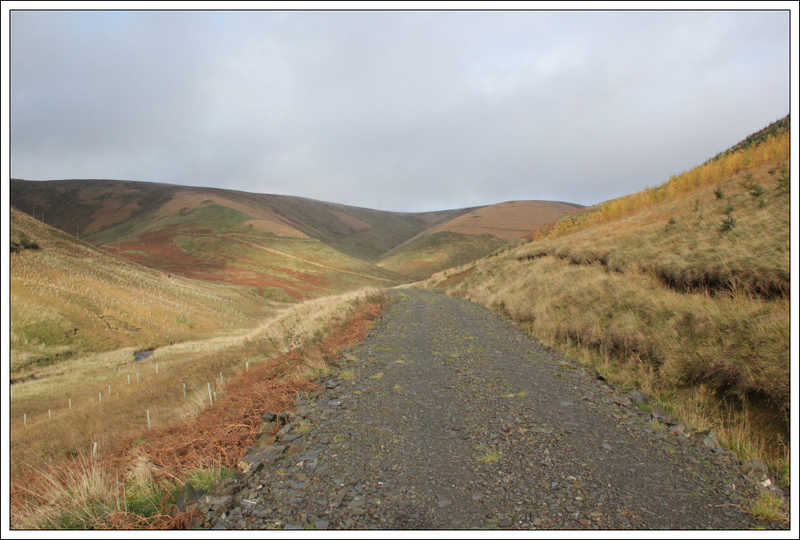 The track from Billhope towards Cauldcleuch Head is wide and fairly good for walking. As I walked along the track I saw a couple of wrens and a heron. It didn’t take long to the reach the point on the map indicating the end of the track. 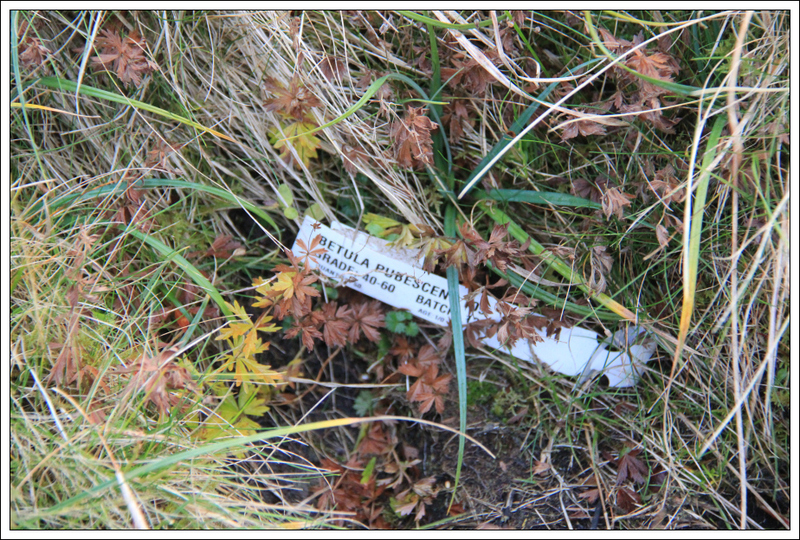 The Ordnance Survey map is however out of date as the track has been extended as far as the base of North Mid Hill. 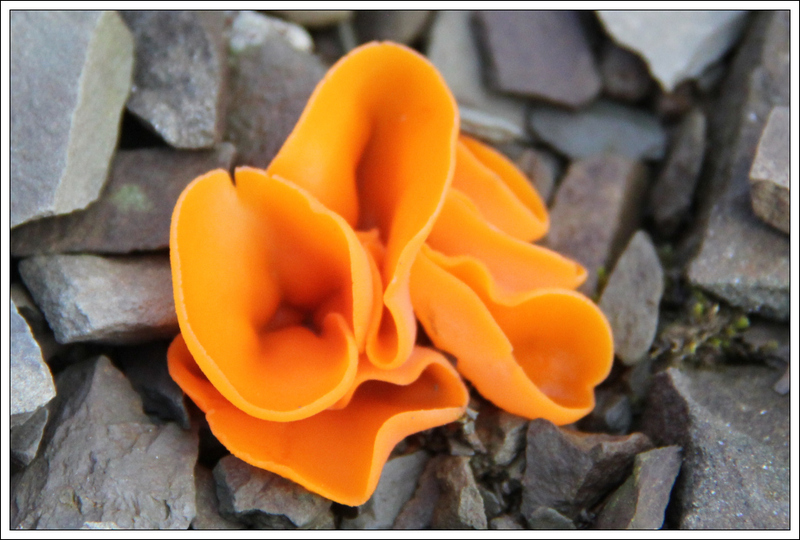 During the walk along the section of new track I passed lots of Orange Peel fungus. 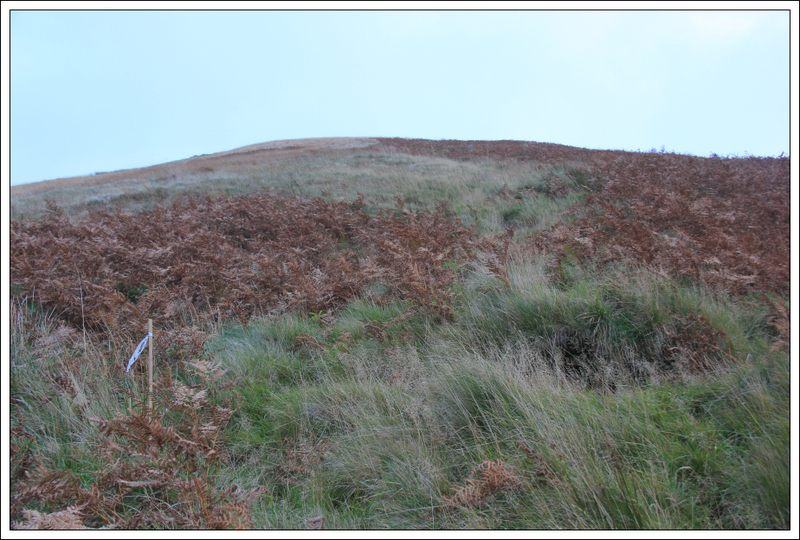 After crossing the final bridge, at the base of North Mid Hill, I made my way steeply up North Mid Hill following a number of short bamboo marker poles. 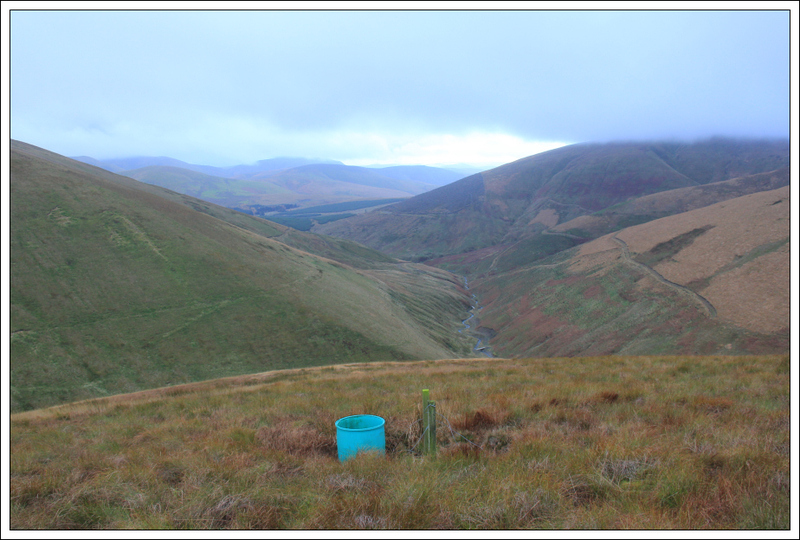 There are lots of new saplings on North Mid Hill and on surrounding hills. It was good to see new trees being planted. I also passed a green tub during the ascent but have no idea why it was there. 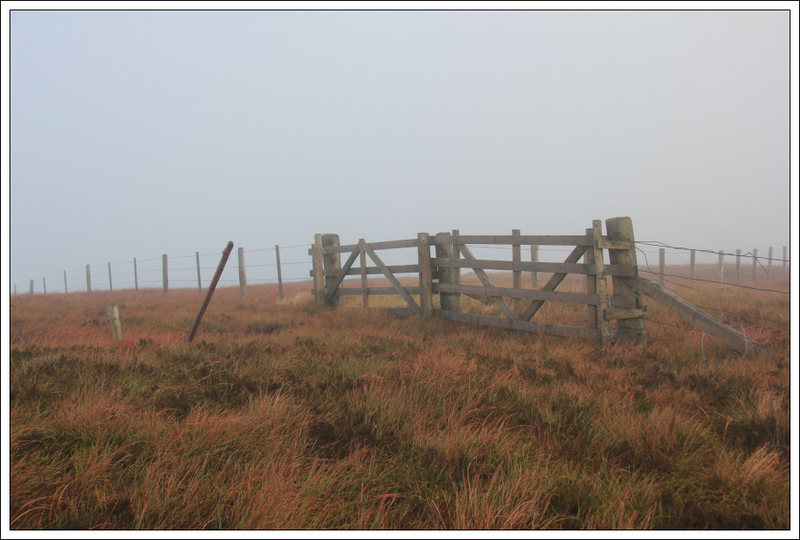 Unfortunately I entered the cloud at the top of North Mid Hill. 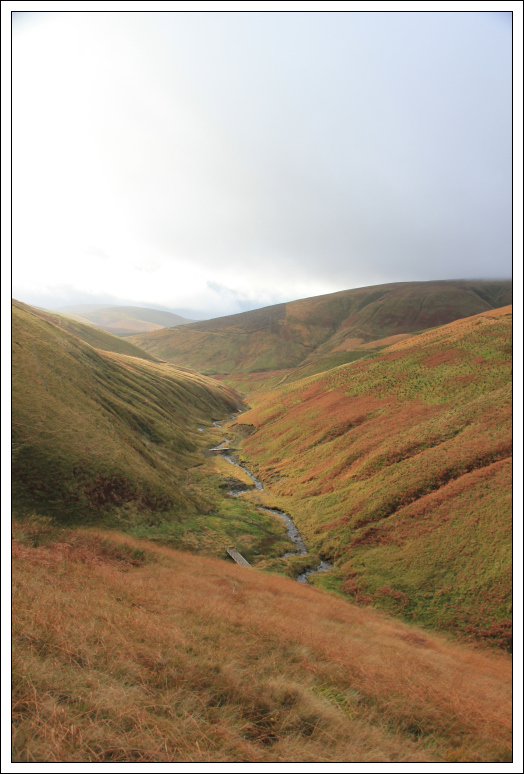 The walk to the summit of Cauldcleuch Head was in clag. 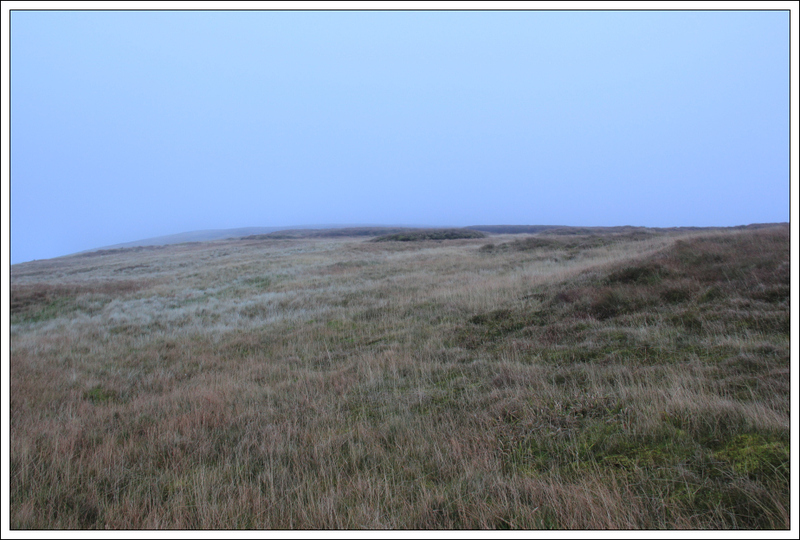 I wasn’t particularly impressed with the terrain leading to Cauldcleuch Head and around the summit area - lots of tussocks and fairly wet in places. I didn’t get any views from the summit. During the descent, I got to thinking about hills I have ascended during the past three months. Stok Kangri in India, Stac Pollaidh, An Teallach, Ben More Assynt, etc. 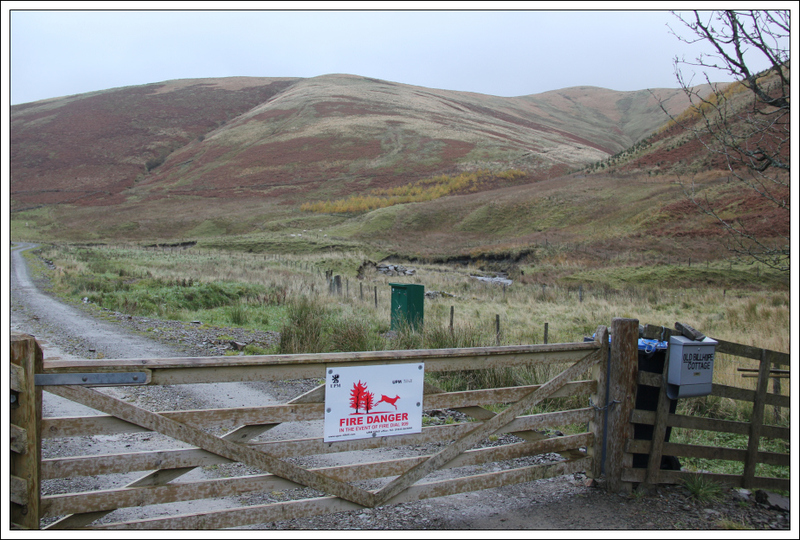 Cauldcleuch Head was fairly dull in comparison . Looking forward to some good walking in the Lakes.